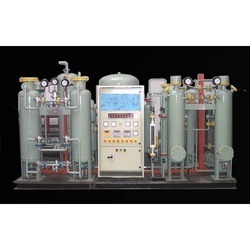 Manufacturers & Exporters of High Quality PSA Nitrogen Gas plants. 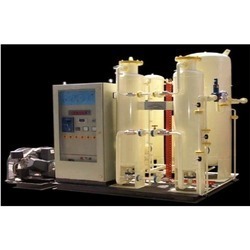 Our PSA Nitrogen Gas Plants are of high quality & pertaining industry standards. If you want pure Nitrogen, you need is to select best PSA nitrogen gas generator. 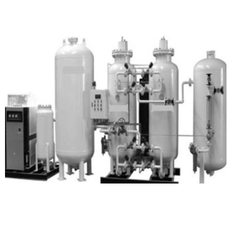 Nitrogen purity in the range of 99% to 99.9999% can be achieved through our nitrogen gas generators. Our PSA nitrogen gas generator produces raw nitrogen of 99% to 99.99% purity. Catering to the demands of customers as a manufacturer and exporter, we are providing our clients with PSA Nitrogen Plants. These plants are developed under the guidance of engineers, who hold extensive knowledge of this domain. Moreover, quality always remains prime importance for our organization and we adhere to the same at every stage of production. Nitrogen is separated from air through adsorption process using carbon molecular sieves as desiccant. The technology is known as PSA technology which means Pressure Swing Adsorption. The PSA Nitrogen gas plants are particularly used to produce Nitrogen gas of different purities ranging 95% to 99.99% directly through this technology, however if the gas is required to be further purified upto a level of 99.9999% then additional purification units are being attached to the system to deliver UHP nitrogen. The nitrogen produced by these plants is very simple process and very economical. The plants are designed & operated considering environmental and operating conditions and on demand SCADA based, operator free plants are being supplied which are under operation for the last several years. Generally the plant capacities are ranging between 1 to 500 Nm3/hr single units of any purities as mentioned above. Electronic industries like semiconductors etc. With the aid of our experienced professionals, we are offering PSA Nitrogen Gas Generating Unit to our valued customers. These gas plants are designed and manufactured using advanced technology as per the industry norms. Our customers can procure these machines at industry leading prices as per their specifications. These plants have gained world-wide appreciation for leading to the production of continuous stream of nitrogen of required purity from atmospheric air at ambient temperatures. 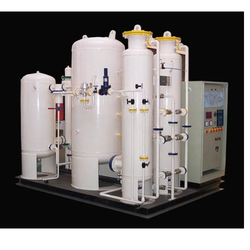 PSA Nitrogen Gas Unit manufactured and designed by us are offered with the assurance of superior performance. These plants are the most economic way of sourcing nitrogen of assured purity. Our customers can purchase these plants at reasonable rates with convenience. These plants are considered to be the optimum energy- saving solutions. The PSA Nitrogen gas plants are particularly used to produce Nitrogen gas of different purities ranging 95% to 99.99% directly through this technology, however if the gas is required to be further purified upto a level of 99.9999% then additional purification units are being attached to the system to deliver UHP nitrogen. The nitrogen produced by these plants is very simple process and very economical. The plants are designed & operated considering environmental and operating conditions and on demand SCADA based, operator free plants are being supplied which are under operation for the last several years. The PSA Nitrogen Gas Plant was invented about four decades ago by Carbotech GMBH Germany. Carbotech was having hard coal mines initially and later in year 1970 developed a specially designed bottle necked Carbon Molecular Sieves which has the property to adsorb Oxygen from compressed air. Later they developed the technology called PSA (Pressure Swing Adsorption). The Nitrogen has larger diameter of molecules as compared to Oxygen. PSA technology is now widely used by almost half the world to manufacture Nitrogen Gas Plants as the compressed air is passed through a dual bed system contains Carbon Molecular Sieves as desiccant and it has a preferential properties for adsorption of moisture first and then Oxygen. The adsorbers are being operated at an interval of one minute, one after the other and in re-cyclic mode so that the Nitrogen is produced on continuous basis. Both the Adsorbers are interconnected with 8 valves scheme which operates automatically with the help of sequencer. The nitrogen produced is collected in a reservoir called Surge Tank. 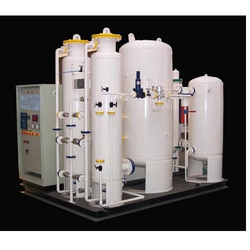 Further various type of purification systems are being developed in India as well based on customer’s needs. The operating cost is mainly the power and generally 0.6 KW/Nm3/Hr for commercial grade Nitrogen & 0.8 KW/Nm3/Hr for UHP grade Nitrogen. Molsieve in to making these plants since 1992 and during these many years Molsieve has continued their innovation and with their patronage invented new ideas which are highly efficient, cost effective, user friendly, maintenance free and having lowest possible impurities in terms of Oxygen & moisture. MN-E.LARGE-UHP 500-1000 NM3/HR UP TO 1 PPM. Commercial Grade Nitrogen Plants Model MS having purity range from 95% to 99.9% having capacities up to 600 Nm3/hr as single unit. High purity Nitrogen Plants Model MN-HP having purity range from 99.9% to 99.99% & having capacities up to 200 Nm3/hr as single unit. Ultra High Purity Nitrogen Plants Model MN-UHP having purities up to 99.9999% and capacities up to 600 Nm3/hr as single unit. Being counted among the prominent manufacturers and exporter, we have brought forward Nitrogen Gas Plants to our esteemed clients. These plants are designed and manufactured as per the latest technology & industry standards and have been proven all over the world for their working efficiency and trouble-free operations. Our customers can assemble these plants at cost-effective budget and with ease & convenience. 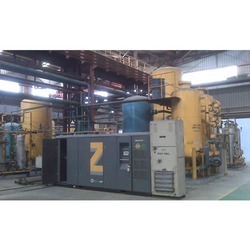 As an eminent manufacturer and exporter, we are engrossed in providing our clients with Industrial Nitrogen Plants. For all purifying applications, these plants are reliable on-site source of low-cost nitrogen. Provided in standard as well as customized specifications, we ensure to match up with the demands of clients.